I try to instill in every single person in our winemaking process that everything they do is important, and that they truly make a difference. Prior to becoming a Winemaker, Eric worked in the pharmaceutical industry. I worked for a pharmaceutical company here in Napa for 18 years that was purchased by a larger company. They then moved my group to New Jersey and New Delhi and there was no way I was leaving my family and friends just for a paycheck. So, I went back to school at Napa Valley College and became an intern at the young age of 43. I got lucky, worked very hard and here I am. Which wine was your "a-ha!" wine – the one that made you love wine or inspired you to get into the industry? 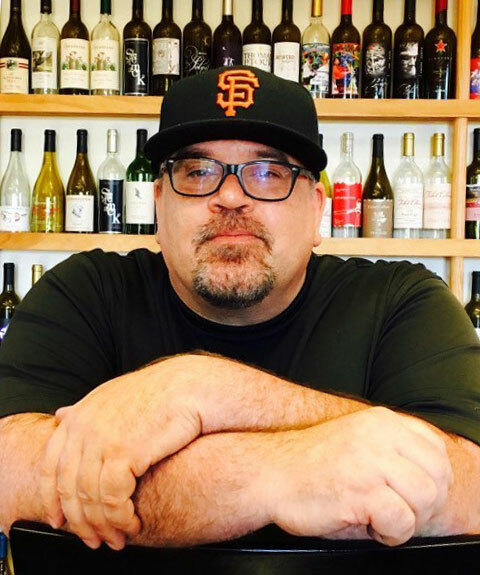 Kenn Vigoda of Raymond Vineyards and Judd’s Hill Winery. Kenn is very humble and lets me pick his brain. When I became the assistant winemaker, he gave me enough rope to hang myself and never made me feel beneath him, even implementing some of the ideas I had early on. Although we didn’t always agree, he would at least listen to me before letting me know I was crazy. Impressing my wife Donna from time to time. I need all the help I can get with that. At Judd’s Hill we do Micro Crush, which means we make custom wine, often in lots as small as a single barrel. Keeping track of all these individual lots and keeping all our clients happy, while making great wine for Judd’s Hill requires constant focus from me and my team. Every single barrel counts and there is no room for error. To me, cultivating excellence means building quality from the ground up. I try to instill in every single person in our winemaking process that everything they do is important, and that they truly make a difference. It gives them ownership in the process and cultivates pride in what they do, which in the end makes excellence in a bottle. Geddy Lee, Jerry Garcia and David Bowie. That I’m a U.S Naval Veteran.